Angels, it wasn’t that long ago that women winemakers were a rarity in the industry. Well, the times, they are a changing… and super fast. As we’ve hand-on-heart stated from the very start, Naked Wines is changing the way wine is made and enjoyed in Australia. You help us directly support independent winemakers in return for exclusive access to delicious hand-crafted wines at insane prices. Today, we celebrate and acknowledge some of the most passionate, talented and awarded women winemakers in Australia. And, they’re part of the Naked Wines family because of you, Angels. Thankyou! Caroline Dunn was the first female winemaker ever to win the coveted, and world famous, Jimmy Watson Trophy – the most prestigious and sought after wine award in Australia while she was paving the way for Wolf Blass. She now channels her experience into crafting boutique wines, just for Angels! Tash Mooney from South Australia possesses silky skills, a visionary eye and a laser-like determination. She’s been making ground-breaking wines since 1992 – wines that are quite simply… outstanding! Jenny Sinclair is passionately dedicated to combining the best of ‘old world’ winemaking and ‘new world’ innovation, all with minimal intervention. Only the finest sustainable vineyard practices are used at the stunningly beautiful Cape Bernier. Cathy Howard co-runs a brilliant Geographe vineyard, in Western Australia. This is where all the Boots & All magic happens, turning out handcrafted, textural wines full of tender loving care. Kym Carr reached out to Naked with dreams of jumping back into the wine game after the heartbreaking passing of her sister. She now creates her own boutique label, Dream Bird, packed with unique wines that are happily just a little left of field for the big wineries. Judy Kelly co-crafts wines that are ahead of the trends with 17 alternative Mediterranean varietals in both her Clare Valley and Adelaide Hills vineyards. 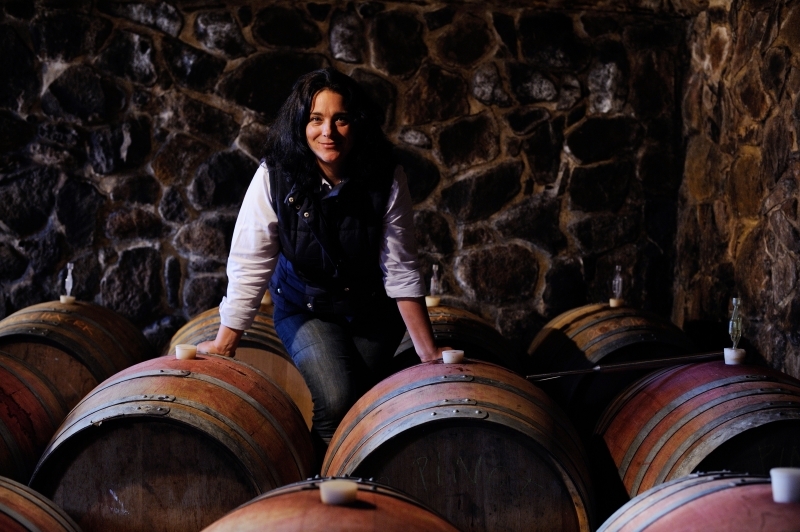 Her wines have the ability to change the destiny of winemaking in Australia. She’s a serious front runner in the rankings of Australia’s most forward-thinking, versatile winegrowers with her label Chateau Coco. Jodie Belleville is a Hunter Valley schooled specialist who co-runs the delicious Fuzzy & May label. She has also picked up amazing old world vintage experience in Campania, Italy! Swan Altschwager and Emma Kenneally, alongside their partners, are collaboratively passionate individuals that make up a truly remarkable winemaking fraternity. With organic and sustainable practices influencing everything they do, these like-minded friends craft tiny volumes of cool and warm climate deliciousness under their Altschwager & Kenneally portfolio. Cynthea Feldheim has been making wine for 23 years. She started at a young age… 5 to be exact when her parents moved from San Francisco to Tassie and purchased a plot of land which they planted in 1980. Cynthea eventually ended up studying winemaking and now makes beautiful Tasmanian wine under her Gypsy Caravan label. Nicky Parish makes wine from the Waipara Valley, situated in North Canterbury on the South Island of NZ. Her winemaking passion is Chardonnay and Pinot Noir. Her and her dad, aka winemaking partner, have a combined 49 years experience in the wine industry. She loves crafting pristine NZ wines under her label Dunnolly Estate. Anna Hooper is a super experienced winemaker who has made wine in the Bordeaux and Rhone regions (just to name a couple), before landing back in Mount Benson in the Limestone Coast. Whilst her and her partners ‘Obelisk‘ range is exclusive to the Naked Angels some other wines in their stable have already been declared ‘Outstanding’ by James Halliday! Liz Richardson crafts her wines with an attention to detail, passion, and commitment. Liz sources the best fruit from the best vineyards to make wines that are interesting and different while always being something everyone can still enjoy. After spending a year in Italy studying for her Masters, Liz fell in love with the lifestyle and the wines & draws a lot of passion from her time overseas. Before Jen Pfeiffer made wines for Naked, she earned her family winery a 5 Star rating from James Halliday. Her meticulous approach ensures she gets the very best out of all the grapes she works with. Rebecca Santolin – wife of Adrian and wine marketer extraordinaire has worked with some of Australia’s most well-known wine brands including Four Sisters and De Bortoli Wines. She and Adrian have been involved in winemaking for over 15 years. You can always expect their range of Naked exclusive wines to include something a little left of field. Claudia Small embodies the down-to-earth family spirit that has driven Naked from the get go! She loves having the opportunity, together with her husband Bill, to create wines the way they want with their label Small & Small. There’s none of the compromises of working for a big corporation or the struggles of being too small. Raise a glass to celebrate with us International Womens Day 2019. Get to know all our winemakers and their stories by viewing their Naked winemaker page. You can also speak with them directly and ask questions by leaving a comment on their page. Join the winemaking revolution and become an Angel today! Our customers, called Angels, support independent, Australian and New Zealand winemakers in exchange for high quality and affordable wine.